When Animals Asia was founded in 1998, bear bile farming was a multi-million pound industry based on the most obscene animal cruelty – and very few people had any idea it even existed. But in the last two decades, the fight against bear bile farming has spread from China to the whole world. Working with the authorities, Animals Asia has rescued more than 600 bears and revealed the systemic abuses of bears on farms. Mutilation, cancer, blindness, infection, misuse of antibiotics and decades of the strictest confinement and isolation have been exposed at farms across the region. Today, millions of people have learned about bear bile farming and agree the cruel practice must end. In Vietnam, the government signed a legally binding contract with Animals Asia in 2017 that will see the industry completely eradicated by 2022. Not only will every farm be closed and every cage emptied, but the approximately 900 bears currently in captivity will be sent to sanctuary, too. Animals Asia’s official partnership with the Vietnam government was the direct result of decades of hard work, relationship-building and leading by example. Animals Asia showed the government we could not only be trusted to rescue bears, but relied upon to walk the walk and work hand-in-hand with all stakeholders to make bear bile farming a thing of the past. In China, Animals Asia’s work has closed down farms and given pain-free lives to hundreds of bears. In 2012, our publicity campaign prevented a bear bile farm from becoming the first to be publicly listed and set a precedent of discouraging others from following suit. To this day, no bile farm has been able to sell shares on the Chinese stock exchange. Despite the fact that bear bile farming in China is considered a legal industry, politicians continue to oppose the practice, with a member of the National People’s Congress proposing legislation to outlaw the industry just a few months ago. “I couldn’t be more proud of everything Animals Asia has achieved over the past two decades. To rescue over 600 bears and provide them with the state-of-the-art healthcare, proper nutrition and lives of enrichment they so richly deserve is more difficult than most people will ever know. 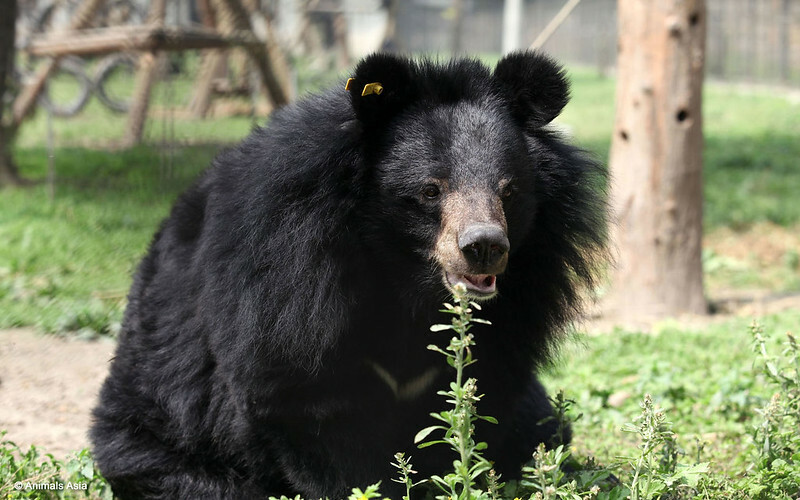 Today, Animals Asia’s China Bear Rescue Centre remains the only sanctuary for bears in all of China. “Every bear I see out playing on the grass is a reminder of what is possible. Every bear sleeping without fear or pain strengthens my personal resolve to keep fighting for those bears still held on farms. Animals Asia’s work is made possible by thousands of people around the world chipping in what they can to make a difference. Now’s your chance to double your impact for bears recovering from a decade or more of abuse and cruelty. Because give by June 30, and your donation will be DOUBLED! Double your donation now.